I just upgraded my 'find my hotspot' mobile android ap. It's an app I've been working on in my spare time. 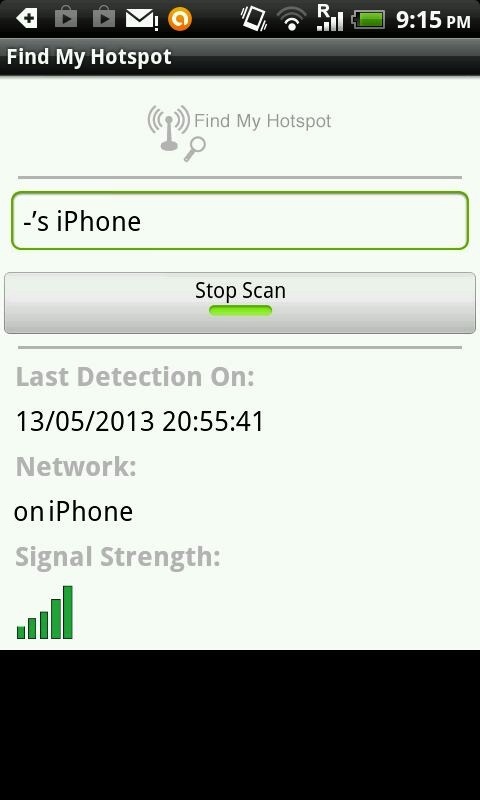 Signal strength shown in the app and last date / time found also shown in app. Helps you find a single wifi hotspot. Most other apps show ALL open wifi networks but sometimes you might want to FIND ONLY ONE. For example if you lost another phone or computer and you had the hotspot on. The other find my phone type of apps just show your phone on a map, but that's not good enought if you live in a city with many high rise buildings! This app will notify you once it detects your unique wifi hotspot... so you can know with some accuracy which floor in a building it was.